The heaviness of despair can blind you from hope when your heart is breaking and your tears can’t stop. Does our Savior Jesus, who told us that he has overcome the world, have a purpose in the pain of your situation? When you can’t see him or hear him, does he hear you? The reality of this matter is found in God’s word. You won’t always feel God working through your trial to rescue you, but he is. God tells us in Isaiah 43, “Fear not, for I have redeemed you; I have summoned you by name; you are mine. When you pass through the waters, I will be with you; and when you pass through the rivers, they will not sweep over you. When you walk through the fire, you will not be burned; the flames will not set you ablaze”. Those words give us a powerful truth. God is telling us with all certainty that there is no disaster that can overtake those who put their faith in him. This world cannot come up with a trial that can alter the course of the path Christ died to give you. He will always be your way out and your way up from every painful struggle. There is no medical issues, marriage problems, addictions, financial struggles or any of life’s storms that God cannot keep from destroying you or the plan he has for your life. In John 20, we read how Mary Magdalene went to the tomb of Jesus after his death; but when she saw that his body was not there, she began to cry. She did not realize that Jesus was standing right behind her. 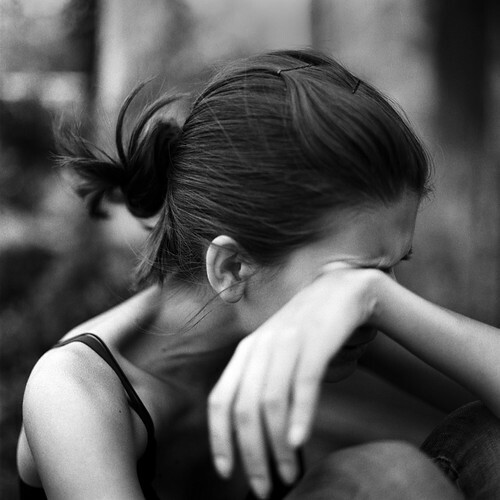 He said to her, “Woman, why are you crying? Who is it you are looking for?” Then he called her by name, “Mary”, and suddenly she rejoiced as she realized that it was Jesus. Friends, I want you to understand the impact of these verses. Jesus asked Mary why she was crying and who was she looking for. He KNEW why she was crying and that she was looking for him even though he was there beside her all the time. Even now in our heartaches as we search for Jesus through our tears, he knows our pain and he is standing right with us even if we don’t fully understand it. As he calls us by name, he will never leave us alone in our struggle or trust anyone else to help us work it out. For only Jesus is a very present help in time of need. He has the power to restore us to wholeness as we hand him the pieces of our broken heart. Rest in the peace knowing that Jesus Christ paid the price for your victory in each and every situation you encounter. I pray that God will help you to understand and trust this message that he provided just for you! This was exactly what I needed to read today. Thank you for being obedient and writing this. Blessings and prayers to you. Thanks Cindy, I am glad that God touched your heart with this message. It was a message straight to my heart also. God’s word always brings truth. Powerful words of encouragement and strength Marianne. He that lacketh these things is blind and cannot see afar off. I would to God that He would open our eyes that we might really see how close He is in times like these…. no man shall pluck us out of His hand. Hi brother malachi, thank you for visiting. I also agree that if we only knew with eyes that truly see how close God is to us in our trials – we would never fear. All things are being worked out in the Master’s hand and all we have to do is to keep our eyes on him, standing in the faith that our God will always be bigger than our problems! !